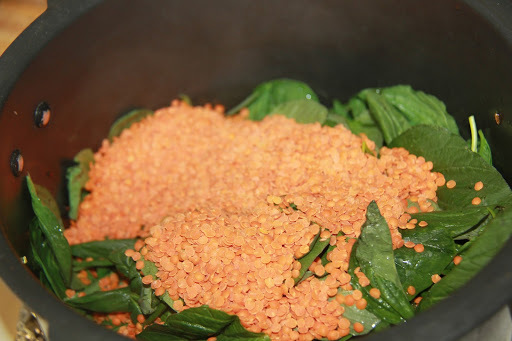 Totakura is also called as amaranth/Chauli.This is a Lentil preparation using the amaranthus leaves and tempered with spices. 1. In a pressure cooker add onions,green chili, thotakura and lentils, salt and tamarind and add 3 cups water and pressure cook for 3-4 whistles and turn off the stove. The dal should be slightly thicker and not flowy. 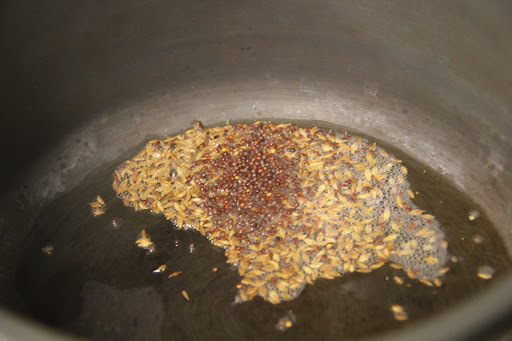 2.Heat oil in a pressure cooker, add cumin seeds and mustard seeds and let them splutter. 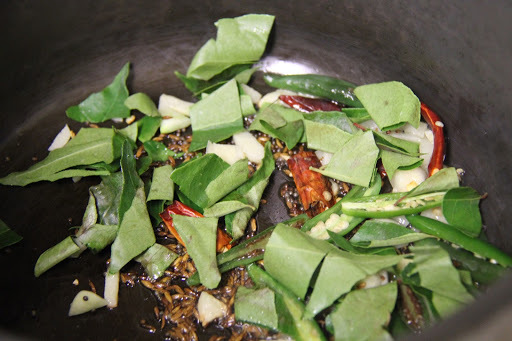 3.Add the curry leaves, garlic, red chillies and hing and let curry leaves splutter. 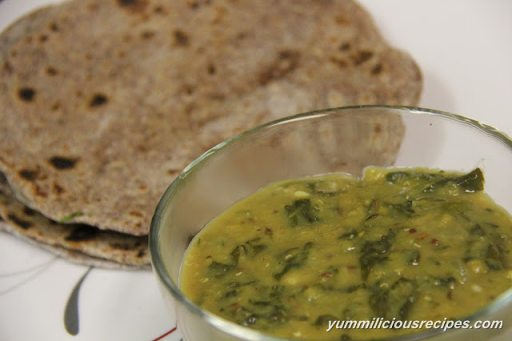 The dal goes well with rice or roti.